We thank you so much for your support of our Adopt a Resident program at Weinberg Housing and Resource Center, Baltimore’s shelter operated by Catholic Charities! 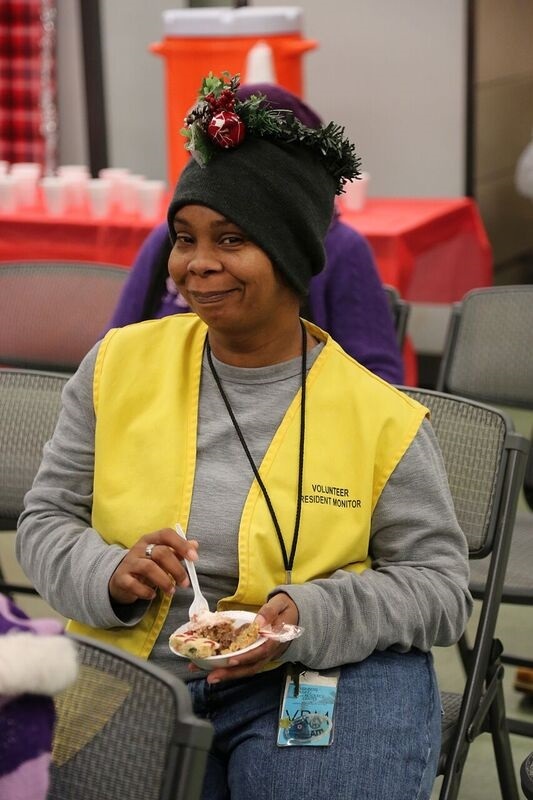 Thanks to generous volunteers, our residents had a lovely Christmas Eve filled with delicious food, desserts, gifts, and fellowship. As our residents received their gifts, you could tell from the smiles on their faces that they felt very loved and cared for. Amazingly, this year we had 439 gifts donated that were given out to our 335 residents. We truly could not have done it without you! Your generosity and kindness was truly a blessing to each and every one of our residents that received a gift.